Talking to GameSpot, a Capcom representative has confirmed that Street Fighter V will not be making an appearance of any kind on Xbox. After the initial 2014 announcement, fans held out hope for an Ultra, Super, Ex, or any other kind of addition that would possibly make its way to the Xbox One. But it appears as though that simply won't be the case. 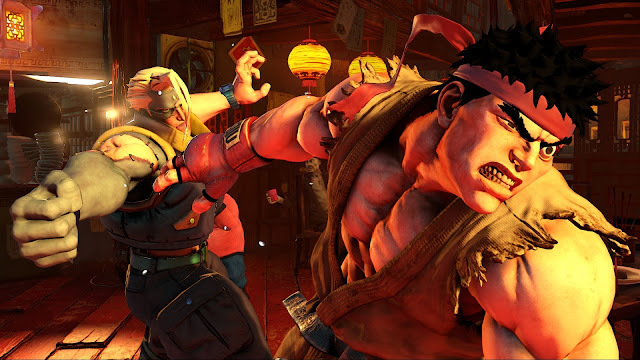 "One comment we see a lot is that something like a Super Street Fighter 5 is going to come out on Xbox, but the reality is that this is a real partnership. We are console exclusive for this franchise for this numbered run." So there you have it folks. The fighting genre is pretty slim at the moment with Tekken, Mortal Kombat, and Dead or Alive all having releases earlier this year. Leaving only Sony fans to look forward to the upcoming Street Fighter V.
This the same Capcom who said RE4 would only appear on the Gamecube? Or that Code Veronica would only he on the Dreamcast? Wonder why I struggle to believe this.